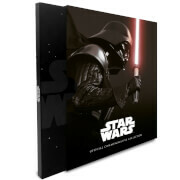 We have a limited number of Star Wars mystery boxes, worth £14.99 each to complement the Star Wars The Force Awakens Steelbook. Inside the box is a collection of Star Wars merchandise from the classic Star Wars films. Be quick, it won’t be around forever!